Arsenal vs Southampton predictions for Sunday’s Premier League clash at the Emirates. Southampton hope to move out of the bottom three of the Premier League when they face Arsenal on Sunday. Read on for all our free predictions and betting tips. 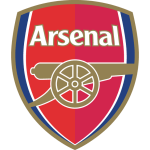 Arsenal managed to overcome their surprise Europa League deficit in midweek with a comfortable win over BATE at the Emirates, but their numerous downfalls in the Premier League has left their domestic campaign under a bit of pressure. Unai Emery certainly helped matters with an excellent winning streak earlier in the season, but with 3 defeats from their last 7 Premier League games, combined with the resurgence of Manchester United, they have now fallen out of the top 4 and find themselves in a real battle for Champions League qualification. Fortunately for the Emirates season ticket holders, the vast majority of their failings have come away from home. At home they haven’t lost a league game since their opening weekend clash with Manchester City, and their 2-1 win over Cardiff at the end of January made it 6 Premier League wins on the bounce at the Emirates. This isn’t good news for Southampton, who come to the Emirates in need of some points if they want to stand a chance of escaping the Premier League relegation zone this weekend. With just 12 games remaining The Saints find themselves 18th in the table, only a point adrift of Cardiff above them but with matches against Arsenal, Manchester United, and Spurs coming up in the next few weeks. 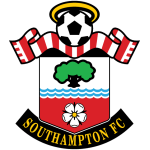 Southampton were actually showing signs of a much needed resurgence throughout January, but last time out they were on the end of a devastating 2-1 defeat to fellow relegation battlers Cardiff at St Mary’s Stadium. That ended their 5 match unbeaten streak and will have shattered the quietly growing confidence around St Mary’s. Away from home The Saints have lost 7 times this season, so facing an Arsenal side who have won 10 of their 13 outings isn’t going to be easy. They have also conceding a disappointing 23 goals in these 13 away games and have shipped 12 goals in their 4 trips to the Premier League Big Six. Considering Arsenal have seen at least 3 goals in 4 of their last 6 at home, we think backing an Arsenal Win and Over 2.5 Goals is the best bet here along with a 3-1 correct score prediction. Arsenal are unbeaten in their last 23 home league games against Southampton (W17 D6) since a 0-1 loss in November 1987. Southampton have won none of their 19 away Premier League games against Arsenal (D5 L14) – the most a team has played away at another without ever winning in the competition. Having won the reverse fixture, Southampton are looking to complete their first league double over Arsenal since the 1987-88 campaign, when a 17-year-old Alan Shearer netted a hat-trick on his first league start for Saints. Arsenal are unbeaten in 12 Premier League home games (W10 D2), winning the last six in a row. Against sides starting the day in the relegation zone, the Gunners have won their last 30 at the Emirates since a 4-4 draw with Tottenham in October 2008. Southampton are unbeaten in their last four Premier League away games (W2 D2). They last had a longer run without defeat on the road between August-November 2015 (W2 D4). Arsenal have conceded 999 Premier League goals and could become the eighth team to concede 1000 in the competition. Southampton have dropped a league-high 17 points from winning positions in the Premier League this season, while only Leicester (13) have won more from behind than Arsenal (12). Southampton striker Charlie Austin has scored in all five of his Premier League games against Arsenal. Only Raheem Sterling (6 vs Bournemouth) has a better 100% record of scoring in every game against an opponent in the competition. No player has scored more winning goals in the Premier League this season than Arsenal’s Alexandre Lacazette – eight of the Frenchman’s 10 Premier League goals have been the winning goal of the game. Pierre-Emerick Aubameyang has had a hand in nine goals in his last six Premier League games at the Emirates for Arsenal (6 goals, 3 assists).